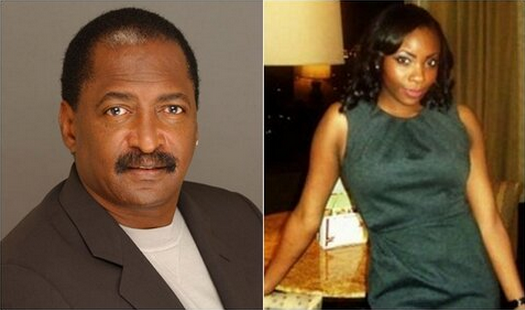 Shocking allegations against Mathew Knowles in new baby paternity scandal. Just months after In Touch Weekly exclusively revealed Beyoncé’s younger half-brother and his mother were headed to a homeless shelter, another woman has come forward claiming the superstar’s estranged dad, Mathew Knowles, fathered her daughter. TaQoya Branscomb alleges the former Destiny’s Child manager got her pregnant in 2010, the same year he divorced Bey’s mom because he got another woman, named Alexsandra Wright pregnant. Houston-based TaQoya, 30, has filed legal paperwork in Texas and is attempting to make Mathew, 63, submit a DNA test to determine paternity and is also requesting child support and compensation for her legal fees. Earlier this year, Alexsandra told In Touch she and Beyoncé’s half brother, Nixon, were headed to a homeless shelter after a judge agreed to reduce Mathew’s child support payments from $12,000 a month to $2,400 a month. Beyoncé remains estranged from her father, who also used to manage her career. It's not so much that the women be winning it's Matty's way of handling business. Someone was paying this lady for four years and the payments stop. Matty should have picked up where the payment was left off but instead he couldn't afford to pay anyone. So the lady is in die need of help and is getting none. Do you really think she took care of a child for four years and kept quiet about it if she was not getting any help. Matty just told her to do what she gotta do, and she is doing it.